We are co-organisers of an awesome supper club/ pop up dining event taking place on June 4th from 7.30pm. The Brockley Max? 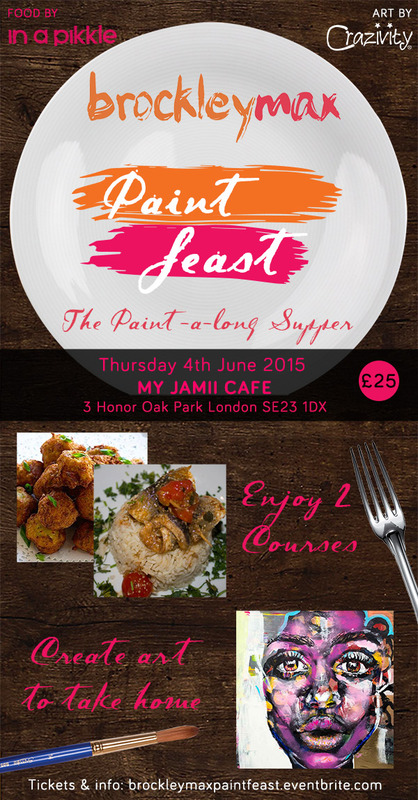 Paint feast, the Paint-a-long supper with great food and art you can take home with you. Set to be a very social and tropical themed night hosted by Roxanne Williams & Inapikkle at My Jamii Cafe?.